Another book that sounds wonderful and needs to go on the wishlist. And I love your very succinct description of what a metafictional novel does – brilliant! I have read a number of metafictional works and found them clever but felt, “well, there’s a limited audience for this.” Not so with this book. It is most unusual but is so wise and warmhearted. I think it’s the Zen influence combined with the Jewish humour that really make it special. This sounds intriguing. As I read your review I was reminded of Christopher Lambert’s With a Zero at its Heart which has a similar structure and is also hard to strictly categorise as fiction or autobiography. I don’t know that book, but I’ll check it out. This one really impressed me. I want to look for some of Hoffmann’s earlier work. Quite tempted. This form requires something special from the writer, and from what you’ve said, Hoffmann gets it right. So often this type of writing is more intellectually interesting than emotionally engaging. This is both but I do suspect that the intersection of a Jewish sensibility with that of the Zen Buddhist account for the singular quality of the reading experience. This sounds like another great find from the BTBA list – when it was announced I couldn’t really tell what might be worth reading so I’m very much relying on you! I happened upon this and bought it because it looked interesting and experimental. The surprise is how readable and yet satisfying and powerful it is. I’d not heard of this book before I read your review but it sounds wonderful. I’m putting it on my list of books to buy in my next spending spree. It was new to me. I might have easily overlooked it had it not been shortlisted for the BTBA this year. There are always some pleasant surprises there each year. I’ve bought a copy of the book now and really hope to read it soon. I must look at the other books on the shortlist for this award, thanks for telling me about it. The entire BTBA longlist (25 titles) is worth a look. The books range from the conventional to the very experimental, the well known to the obscure. I hope you like Moods. Don’t expect a chronological narrative, of course, but for an experimental piece it is fun, readable, and wise. Thank you, I will definitely have a look. I’m always trying to broaden my reading horizons and this seems like a great place to find some books that are a bit different. 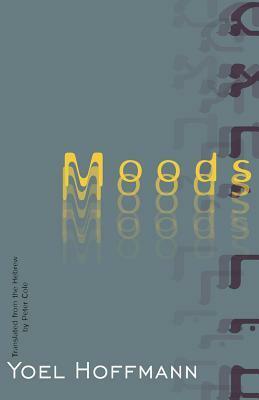 I think I will really enjoy Moods, I’m looking forward to starting it. I love your review! This sounds fascinating and unique. I could have quoted half the book or more. So much to enjoy and think about here.